Theranos did no favors for its investors, but it may have unwittingly helped the next generation of innovators. The Securities and Exchange Commission last week accused the company and its CEO, Elizabeth Holmes, of misleading investors. According to the SEC’s complaint, Theranos lied about the capabilities of its blood-testing technology on its way to raising $700 million from 2013 to 2015. As my Gadfly colleague Max Nisen rightly pointed out, “the sheer extent and audacity of the fraud perpetrated by Theranos’s leaders separates it from the pack.” But Theranos couldn’t have pulled off its elaborate fraud without the help of two larger forces. 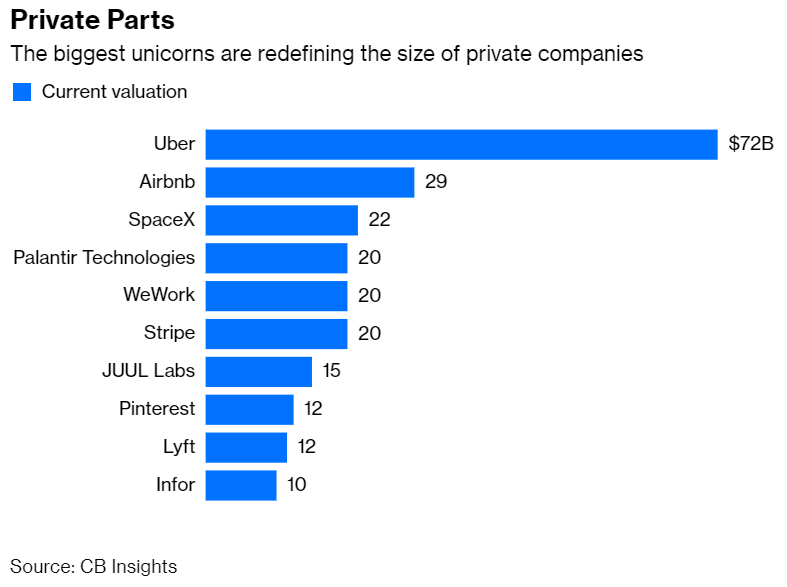 The first is investors’ eagerness to throw money at startups on a scale that not long ago was available only to publicly traded companies. 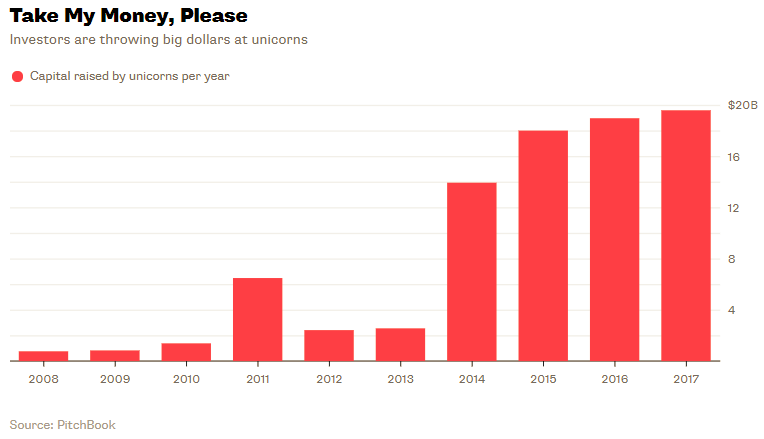 So-called unicorns — startups valued at $1 billion or more — raised $70 billion from 2014 to 2017, including a record $19.6 billion last year, according to financial data company PitchBook. To put that in perspective, that’s roughly three-quarters of the total net flow to all U.S. mutual funds over those four years, according to fund flows compiled by Bloomberg Intelligence.